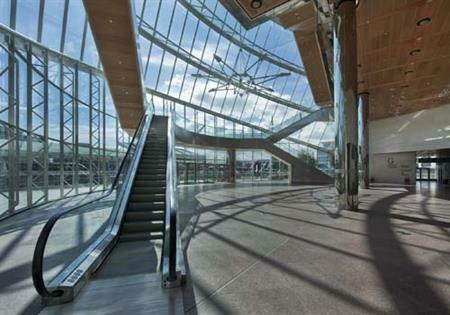 The European Society of Coloproctology (ESCP) has chosen The Convention Centre Dublin (The CCD) to host its 10th Scientific and Annual meeting in 2015. The event is expected to attract approximately 1,000 international delegates from Europe, Middle East, Asia, Australia and South America for three-day event starting on 23 September 2015. "We have a shortlist of criteria to help us select our event venues and The Convention Centre Dublin ticked all of the boxes," said Professor Ronan O'Connell, President in Waiting of the European Society of Coloproctology and Head of Surgery and Surgical Specialties at University College Dublin and Professor of Surgery at St Vincent's University Hospital Dublin. "The committee members were also pleasantly surprised by the good value that Dublin offers, which our international delegates will greatly appreciate." Attended by international colorectal surgeons, this annual scientific meeting will consist of industry related symposia, educational sessions, an exhibition as well as an opportunity to network and build relationships within the industry. Marie Lawlor, Head of Conference Sales, The Convention Centre Dublin said: "With more than 2,200 new cases of colorectal cancer per year in Ireland, this event will help to highlight and share research for this illness and all of the conditions associated with this important field of medicine."